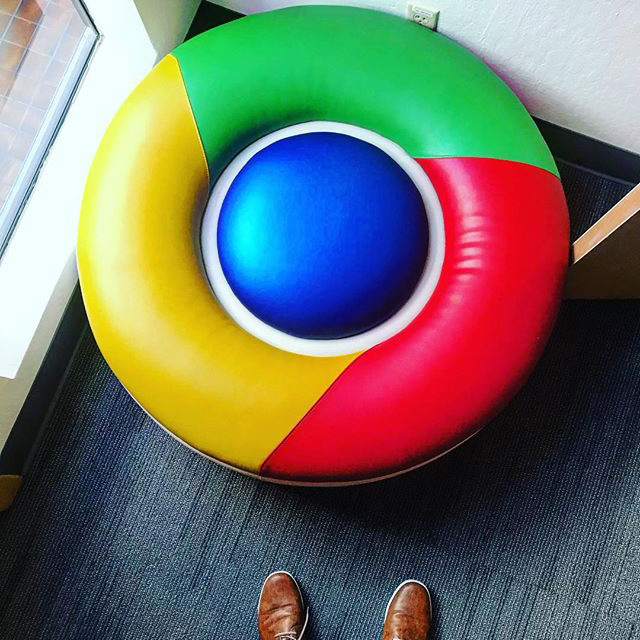 Google loves customizing and branding the things they sit on and here is a Google Chrome looking chair or single sofa seat. It was posted on Instagram from one of the Google offices. It looks safe to sit on and then browse.